We specialise in providing outstanding cleaning services in offices, residences, schools, restaurants and other commercial sectors in Devon. Our extensive work experience and advanced cleaning methods set us apart from other cleaning companies in the county. Keeping in mind your safety, we use cleaning products that are safe to your health and free from harmful chemicals. Sometimes, cleaning requires you to invest a lot of time, especially if you are cleaning a large space. Most of us are able to manage some time for this task. However, for many, setting aside some time out of their busy schedule for cleaning is not feasible. So, if you are looking for a reliable company that can assure you efficient, convenient and budget-friendly cleaning services in Devon, then we might be your ultimate helping hand. Call us or use our online contact form to have your homes, offices or any other spaces cleaned by our professionals. 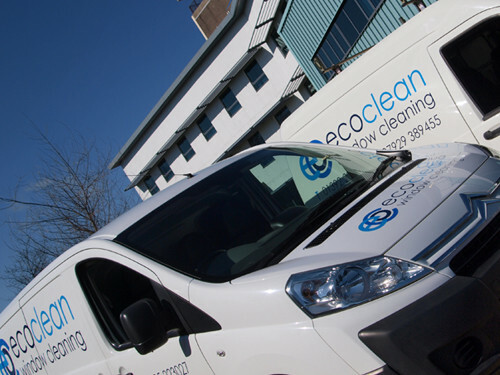 Eco Clean Window Cleaning offers all types of cleaning services.